Henley is a semi-rural, 11-16 school in Warwickshire with 700 students on roll. Our technology department presents to our students an exciting and challenging environment. We have embraced new technologies that bring creative and innovative learning opportunities to students. Within our department, we have a LEGO Education Innovation Studio, which reflects much of the creative work we do. Our students are, as a result, motivated and keen to develop their skills. We are constantly looking to make sure that their experiences at Henley-in Arden prepare them for the world of work. As a department, we are very open to change and indeed the development of the new National Curriculum brings with is a natural point of change. 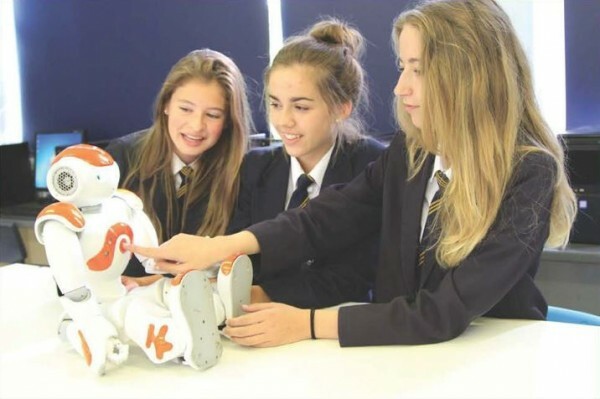 We were looking at ways of further developing the use of programming and getting students interested in the areas of Engineering and Robotics – an area in which the government has identified a huge shortfall in terms of trained workforce. Unsurprisingly, statistics alone don’t attract students to work in these areas. We have now undertaken work in this area through our LEGO Education and we have seen our students take great strides as a result. 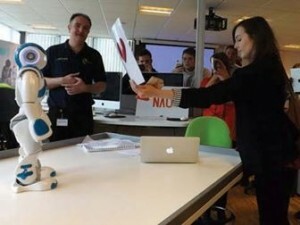 What NAO brought to our department was the next generation; the cutting edge of robotic technology. Something that our students felt was the stuff of films rather than something that could be at the heart of their learning experience. I have often reflected on the much-used phrase of “awe and wonder” but to work with NAO is to see it with regularity. 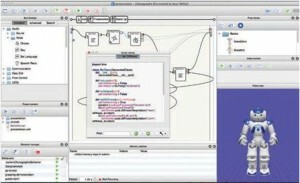 The first challenge with NAO was familiarisation with the programming software – Choregraphe. Being honest, my programming skills could have done with a bit of a polish(!) but I needn’t have worried, as the software was intuitive and structured. Once the ‘fear factor’ is removed from programming, it is a challenging and hugely enjoyable experience. I learnt with other teachers at a training session in Warwick. All the teachers were excited about what NAO would bring to the classroom but it was also great to see teachers engaging with life-long learning rather than just talking to students about it as a concept. We soon had NAO standing, walking, talking and interacting in what seemed like no time. We worked through examples that Aldebaran Robotics had developed for NAO. I will never forget the first time that my students met NAO. Their facial expressions, as NAO picked himself up off the floor and then engaged with them, were a sight to behold. What NAO instantly brings to the classroom is a huge number of questions. The ‘simple’ act of standing generated questions that were beyond the scope of the lesson. Everybody wanted to participate and, more importantly, everyone wanted to learn. The buzz was felt right across the school. 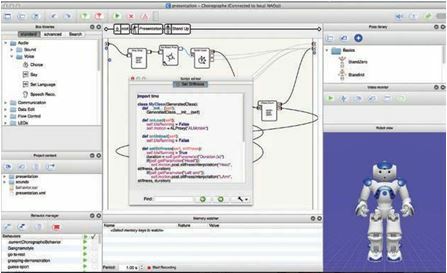 Over the next few weeks, students developed their own programs using the virtual NAO with Choreograph, then threw them wirelessly over the network to NAO and saw their programs come to life! This actually had real benefits in terms of motivating all students to think through and refine their programs speedily and effectively. It was great to see students following a design process while developing their programs. They loved storyboarding ideas and challenging each other, and they wanted to push NAO to his limits while accelerating their own learning. We often have difficulty engaging students in all aspects of the design process – reflecting and evaluating often being a key stumbling block. The thing with NAO is that students see the value in these stages as they get better outcomes. When you are in the classroom, you can observe the learning getting deeper – if your robot stands and stumbles then you need to get back to the drawing board and think again – modifying and experimenting your way to successful outcomes. We also found that NAO created a learning ethos of collaboration. Students were keen to share their ideas and experiences in support of others, and were so excited about showcasing their learning to the rest of the group. Learning that students want to show off – wow! One of the focus areas within Technology is ‘Systems and Control’ and NAO has provided a real opportunity to bring it to life. Indeed, paired with the work that the ICT department are developing to meet the needs to the new National Curriculum, it is a great combination. The new Computing National Curriculum sees Key Stage 3 students tasked to use two or more programming languages, at least one of which is textual, to solve a variety of computational problems; make appropriate use of data structures [for example, lists, tables or arrays]; design and develop modular programs that use procedures or functions. Choreograph supports this superbly. For all students to be able to see underlying code is fantastic. But for more advanced students to amend such code really does take learning, and challenge, to a new level. 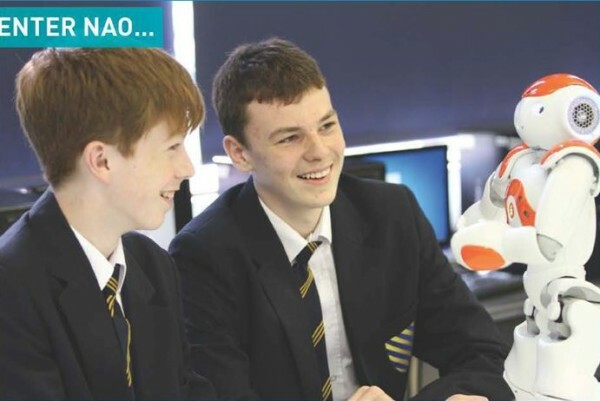 In fact, while NAO – the hardware – is very much attention grabbing, students also commented on how good the software was. 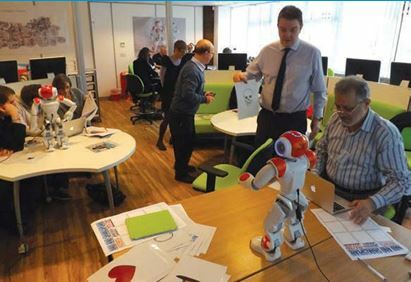 For students, the outcomes from working with NAO were varied: from the simple to the complex. At the heart of all outcomes was creativity, which was driven by the students’ desire to do better and to learn more deeply.